Steamed, fried, baked or boiled – we’ve never met a dumpling we didn’t want to eat. And with the upcoming Melbourne Dumpling Festival on 15 – 16 March, it’s time to get into peak dumpling eating condition. Refine your skills and leave no bao behind at these Melbourne restaurants, where delicious dumplings are the name of the game. What looks like a dumpling, tastes like cheeseburgers or chicken laksa, and comes in gluten-free varieties? 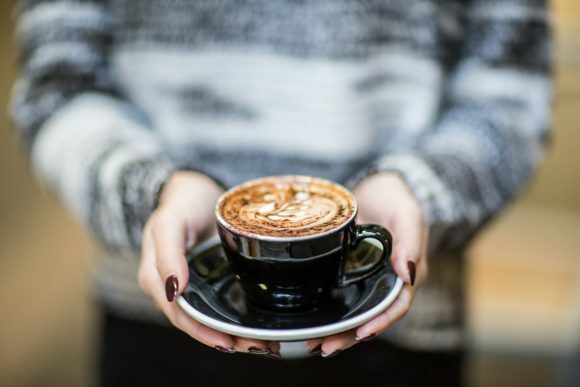 Why it’s the little bundles of joy at Drumplings on Bourke Street. 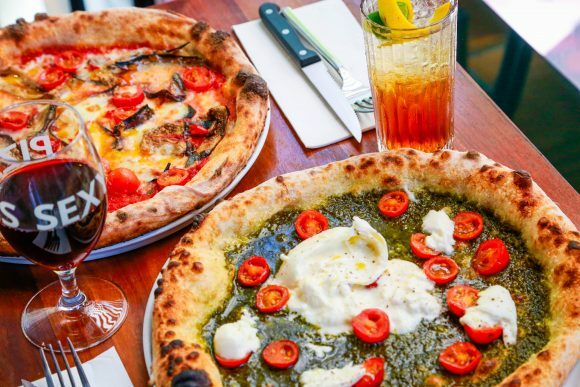 Their other exotic fillings include pepperoni pizza and apple crumble, but there are also traditional flavours like pork and chive. A little bao-dy told us that students get 10% off! Take the queues snaking out the doors as a sign that Shanghai Street and Shanghai Street On Bourke tick lots of boxes. Fried pork mini buns and fried chicken and prawn dumplings are on hand for those feeling naughty. Steamed and boiled snacks await if you want a warming meal with a pillowy texture, and vegetarians have some un-bao-lievable options too! Pairing a dinnertime dumpling deal with a massage might sound completely bizarre, but we promise we’re not horsing around. Horse Bazaar will give you three dumplings, a 10-minute massage and a new lease on life every Tuesday night for just $15. Try traditional pork or wholesome vegan dumplings. Or go out on a (loose and flexible) limb with fried cheese, Nutella and nuts, or even egg, bacon and Vegemite dumplings. The original Tim Ho Wan is a hole-in-the-wall eatery in Hong Kong, created by dumpling master Mak Kwai Pui in 2009. Melbourne’s version shares the same menu as the northern HQ, but not its Michelin star. That’s not to say the dumplings here aren’t worth queuing up for (and you will probably have to). 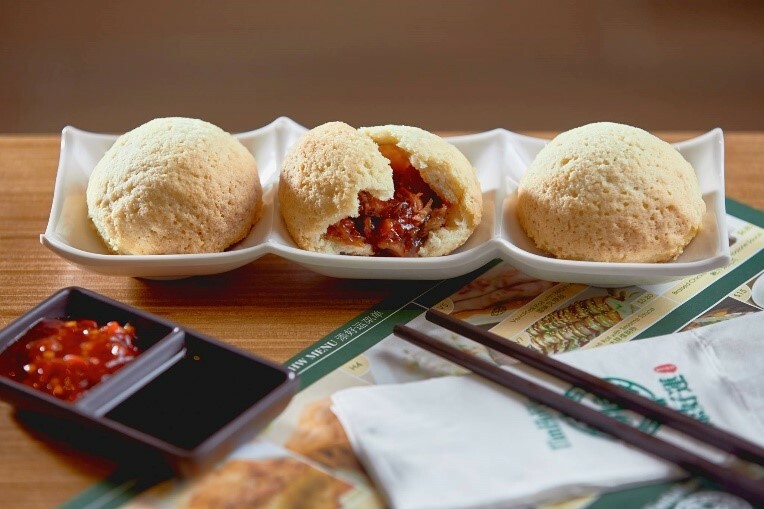 Opt for the global phenomenon that is the barbecue pork bun – it’s baked, not steamed, and slightly sweet. Handmade dumplings and handcrafted cocktails: two of life’s great pleasures, yet Melbourne hasn’t been good at putting them in the same room. Until now! The folks behind Golden Monkey bar give you the best of both worlds upstairs at East China Trading Company. We all know that everything handmade tastes better, like the dumplings at Mr Kwok. It’s now operated by his daughter, but you can often still see Mr Kwok himself in the kitchen making them from scratch. If you’re looking for a different dumpling experience, Oriental Tea House is the place to go. 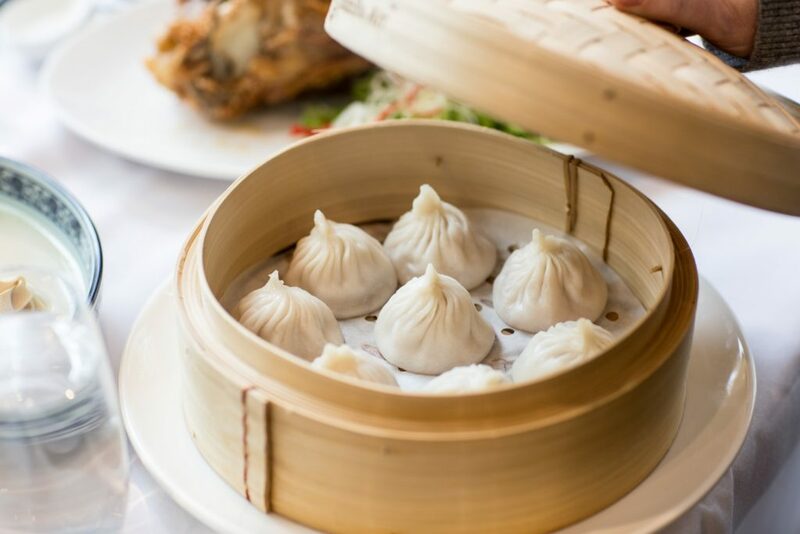 David Zhou’s modern Chinese eatery pairs delicious bite-sized dumplings with quality teas, from traditional oolong to signature blends like Happy Tea. If you fancy something a little stronger, alcoholic options include cocktails served in a teapot for sharing. You’re encouraged to eat with your hands at Rice Paper Scissors. This South-East Asian hawker-style eatery is all about finger foods, including mouth-watering dumplings. The seafood dumplings are a crowd favourite, and guaranteed to leave your tastebuds dancing. 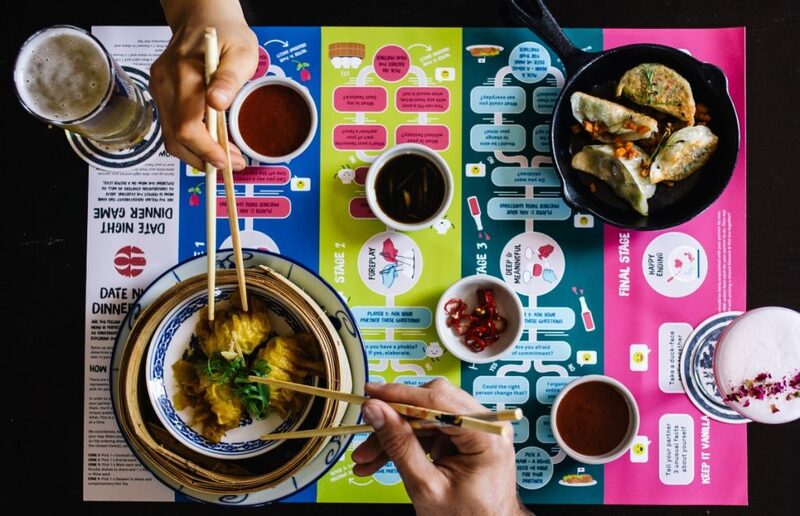 The HuTong Dumpling Bar in Market Lane is a must-visit for any self-respecting dumpling enthusiast. Come here for the signature shao-long bao (aka xiao long bao): improbable, but oh-so-good, soup-filled dumplings. 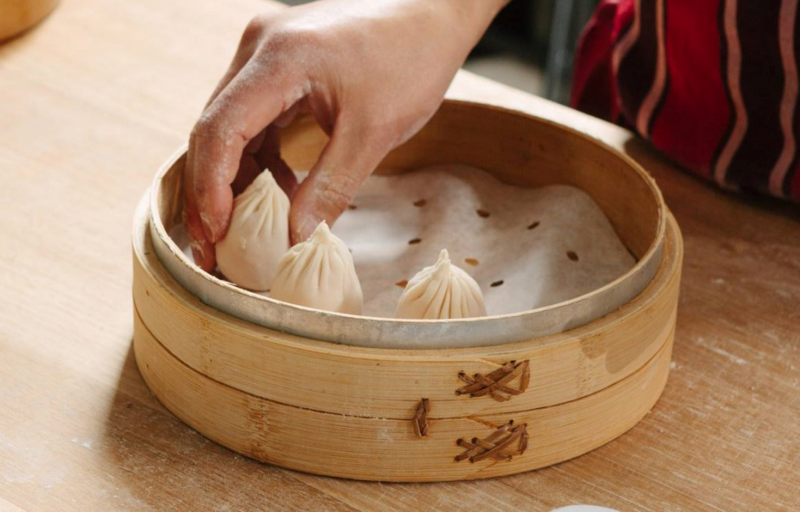 Melbourne Dumpling Festival: On 15 – 16 March, the festival will feature bubble tea competitions, dumpling giveaways, a pop-up wine bar and the Lord Mayor’s Student Welcome. Din Tai Fung: Expect a queue at the Melbourne outpost of this wildly popular Sydney chain, but their signature xiao long bao is worth it! 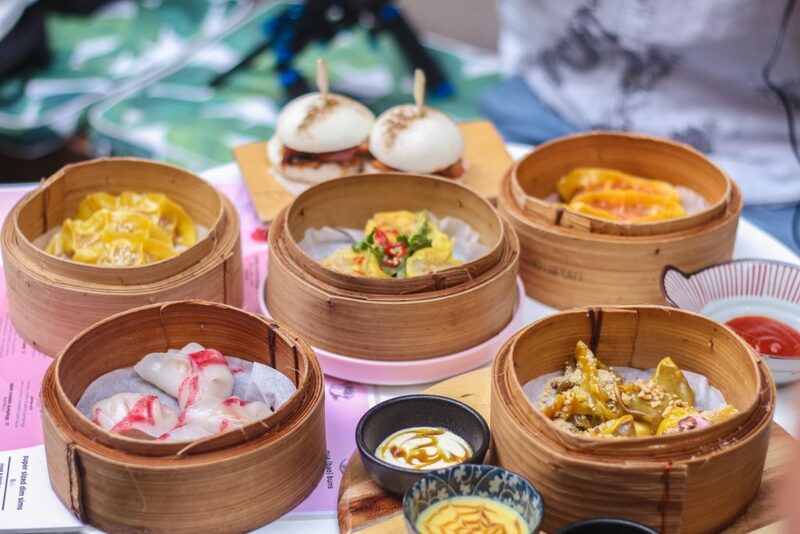 Spice Temple: Try the yum cha banquet menu – you’re welcome. ShanDong MaMa: This has been the crowd favourite for years. Try MaMa’s signature dish, the mackerel dumpling.